Petrochemicals are chemical products derived from petroleum sources. Some of these chemicals are obtained from resources such as coal, natural gas, corn, or even sugar cane. 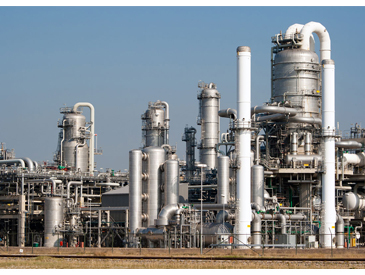 The two most common petrochemical classes are olefins and aromatics and they are the building-blocks used to manufacture a wide range of everyday materials such as solvents, detergents, adhesives, plastics, resins, fibers, elastomers, lubricants, and gels. Throughout petrochemical processing plants, there are many chemicals and gasses passing through pipelines and kept in storage tanks. Unfortunately, petroleum-based chemicals often thicken and do not flow well at lower temperatures. If the chemicals are not maintained at a desired temperature, they thicken and the increased viscosity causes them to clog or starve production lines. To complicate matters, these chemicals are often processed and stored in hazardous area locations and therefore require hazardous-area-rated heating products. BriskHeat constant-wattage heating cable is an excellent heat tracing solution to install along piping to maintain the elevated temperatures necessary for petrochemical production. Constant-wattage heating cable is a semi-flexible heating cable that is installed along the outside surface of the pipes and valves (Heat-Tracing) and is capable of maintaining temperatures up to 500ºF (260ºC). Often referred to as heat tape, constant-wattage heating cable is used for heating long runs of piping systems of up to several hundred feet. 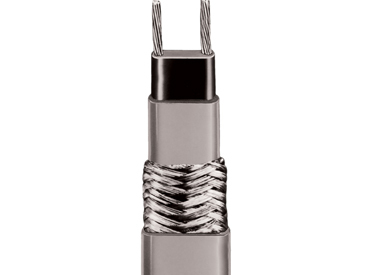 BriskHeat’s constant-wattage heating cables are suitable for outdoor use and are FM-approved for hazardous locations. A temperature controller is required for use with constant-wattage heating cable and BriskHeat offers several temperature controller options depending on the specific needs of the application. Insulation is always recommended to maximize heat and energy efficiency. BriskHeat’s Silver-Series removable cloth insulators provide the perfect combination of easy installation and thermal efficiency. They are quickly installed and easily removed for convenient maintenance access. They are constructed of a durable and moisture resistant polymer coated cloth to suit a wide variety of applications. The Silver-Series insulators are available in a variety of standard sizes and configurations. Pipe insulators are easily cut-to-length for added versatility. Additionally, they are rated to 450°F (232°C) and have an R-Value of 3.3 to provide excellent thermal efficiency for a wide variety of applications. 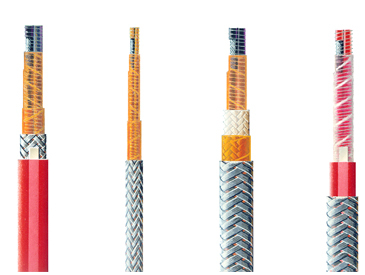 Constant-wattage heating cable can be used on nearly all pipe heating applications. These include applications for freeze protection, reducing viscosity, preventing condensation, and more.